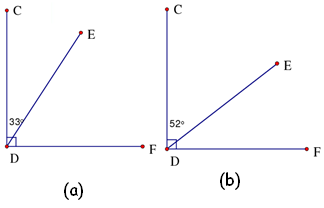 Question 1: Find the complement of each of the following angles. 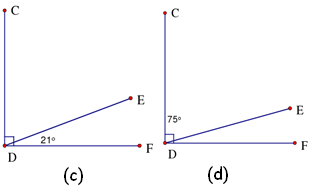 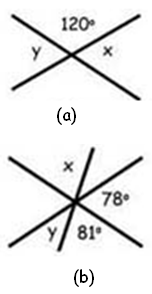 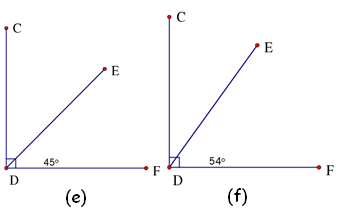 Question 2: Find the supplement of each of the following angles. 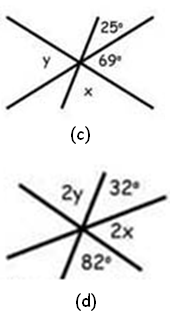 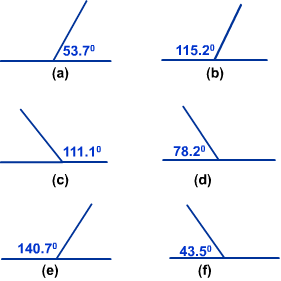 Question 3: Find the pairs of complementary and supplementary angles from these pairs of angles. 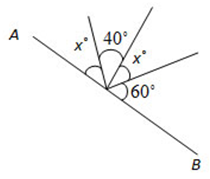 Question 6: Find the value of x in the following figure. 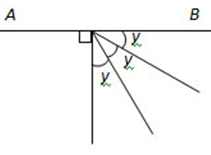 Question 7: Find the value of y in the following figure.